When we use our consumer power and buy organic, we can change the world. Organic farming is necessary for the planet, because kids need healthy lands, breathable air, protected species, and drinkable water. Small organic farms are improving the food quality, as well as the air, the soil, and the water in their environment. Organic food tastes better, with a superior texture, quality, and depth of flavor, that kids like to eat. Organic food is nutrient dense, jam packed with vitamins, minerals, protein, fiber, healthy fats, and phytonutrients. Conventional farming allows the use of synthetically created chemical pesticides, herbicides, fertilizers, irradiation, and sewage sludge to grow food. This has resulted in residues of DDT, DDE, and TDE in the American diet and has polluted the soil, the drinking water, and the air. Today, the average baby is born with over 200 toxins and carcinogens in its body. The pesticides are killing the bees, butterflies, and other pollinators needed to produce crops and poisoning the workers in the field. Conventional farming also uses GMO seeds, some with added pesticide in their DNA, which give rise to new allergens and toxins. Then the food is shipped to processing plants and enhanced with too much fat, sugar, salt, plus additives, fillers, and dyes. Transportation of food averages 1500 miles from farm to table and adds to the greenhouse gases. 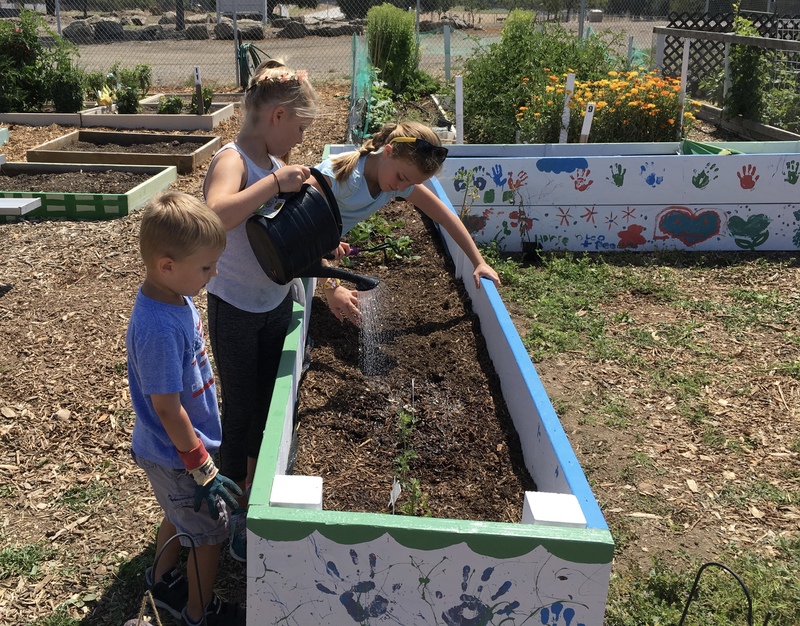 Kids can grow a sustainable organic garden in the backyard, patio, or community garden for little cost and have access to fresh organic food that heals the body, turning the tide on the alarming rise in diabetes, cancer, and obesity. Food is medicine. Eating fresh, local, seasonal, organic fruits and veggies saves time and money at the doctors office and on prescriptions. Kids enjoy organic gardening; it is excellent for stress reduction with anti-depressant microorganisms in the soil and is a great exercise. Kids can choose organic, grow a garden, be healthy, and save the planet.